The River City Mixed Chorus, under the direction of Dr. A. Barron Breland, presents Sing Truth to Power. 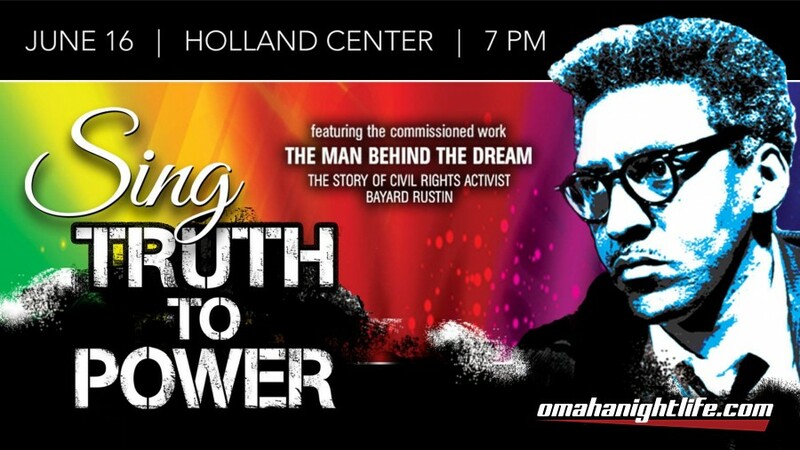 Come hear the Nebraska debut of "The Man Behind the Dream," the multi-movement work composed by Steve Milloy that honors the life of civil rights activist Bayard Rustin. Rustin, an openly gay man, was a close advisor to Martin Luther King Jr. and the main organizer of the 1963 March on Washington. Singing with the chorus to help tell the story of Rustin will be special guests Carole Jeanpierre-Finch and D. Kevin Williams. In addition to the Rustin piece, the concert will feature great Pop and Broadway songs that speak to the Chorus's mission of supporting diversity, inspiring change and empowering communities. We hope you can join us for this very special performance!